Store and manage your Ripple XRP and IOU’s issued by exchanges for other coins. Live account balances, USD Value, and other account objects. We serve our customers through our own private Rippled node hosted with Google Cloud services. Your transactions will have unmatched speed. Harbor grants users access to the amazing decentralized exchange built into the XRP ledger. You can trade XRP for gateway backed IOU’s of BTC, ETH and more. Place your Ripple XRP in Escrow to ensure maximum security. You choose an unlock date for the “Vault” and there is nothing that can make it open any sooner. Downloading take less than a minute and getting setup on Windows or OSX is quick and simple. 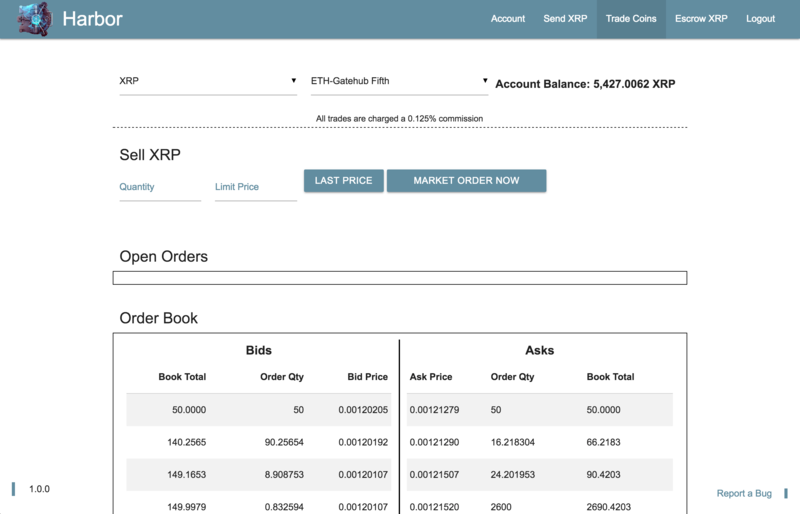 The unique functionality of the Ripple ledger allows you to trade directly with major exchanges for other cryptocurrencies. 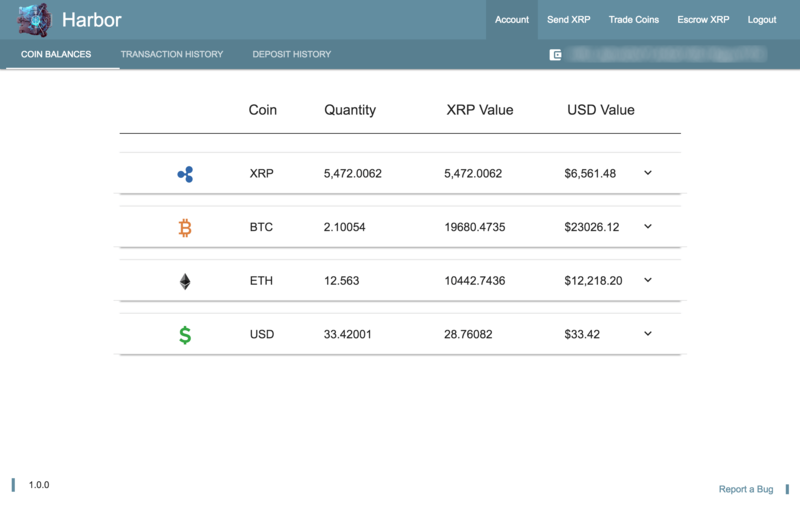 Easily and instantly convert XRP into BTC, ETH, or USD and then you can cash out at that exchange, or wait for the opportune moment to trade back into XRP. We are the creators of Reservoir Lite. Of course the ability to send your XRP directly to Escrow would be in Harbor Wallet. 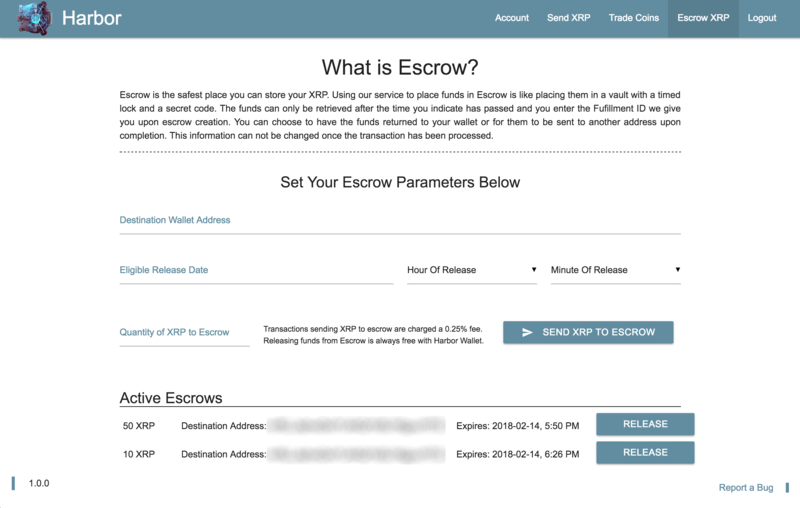 Sending your XRP to escrow is the safest possible way to store it. Simply set an expiration date and shut the vault door. Escrow conditions are unchangeable and unbreakable. This Ripple Wallet is unbeatable in performance and features as a desktop wallet. It simply is the best way to store and manage your XRP on your home computer. Don’t trust that the exchanges are going to stay in business forever. 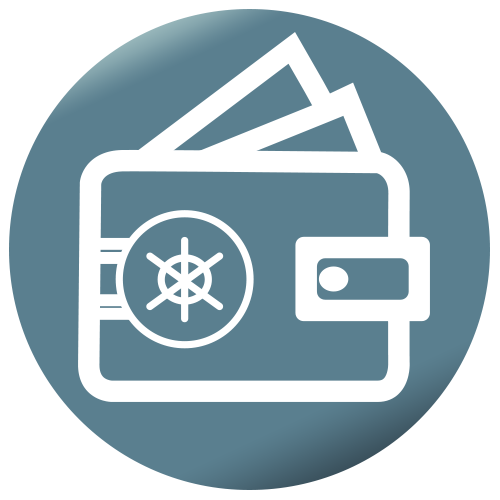 Get Harbor and become the Captain of your digital assets.